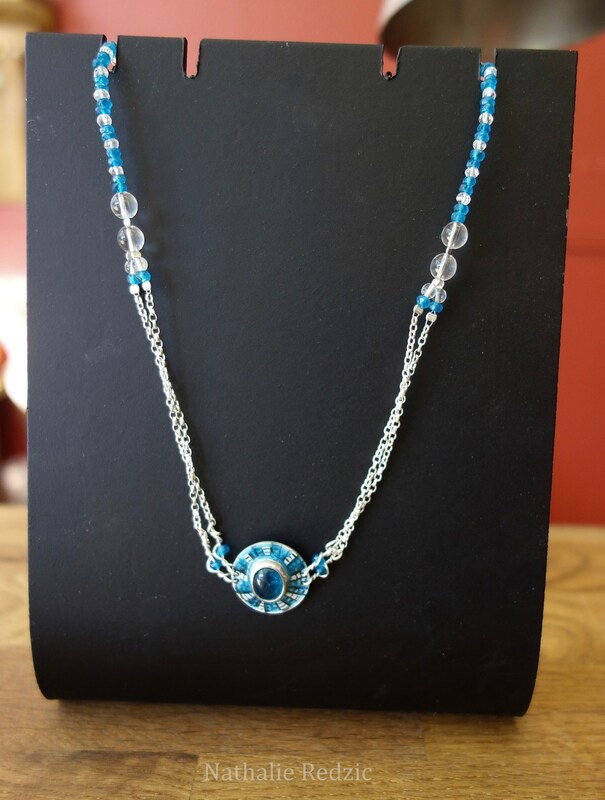 Empire sterling silver necklace, with enamel and natural blue apatite with rock crystal gemstone. For women. 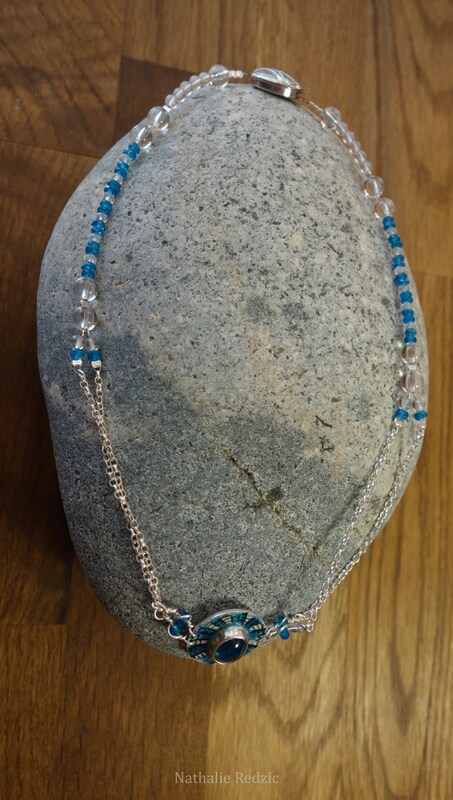 "Empire" sterling silver necklace, with enamel and natural blue apatite with rock crystal gemstone. For women. Unique creation silver 950/1000 and 925/1000 parts chain as well as finishes. This piece was made in my Studio entirely by hand. 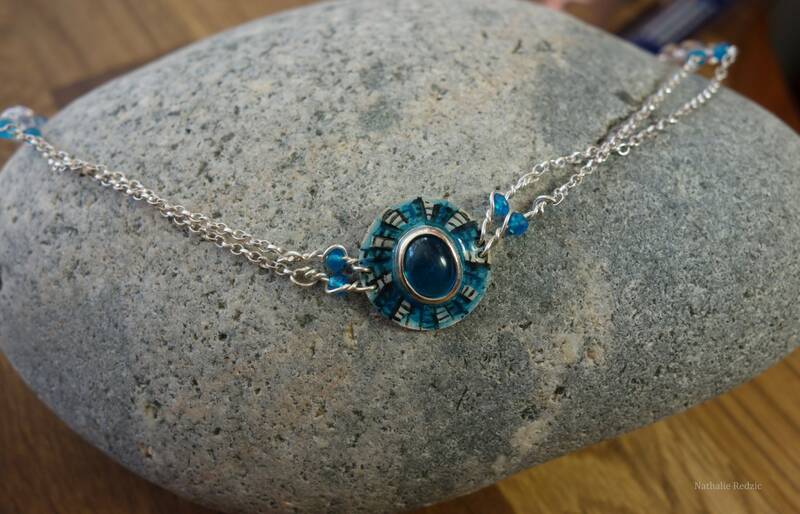 The central medallion was set with a beautiful blue apatite cabochon from Namibia and enamelled hot around the seam. 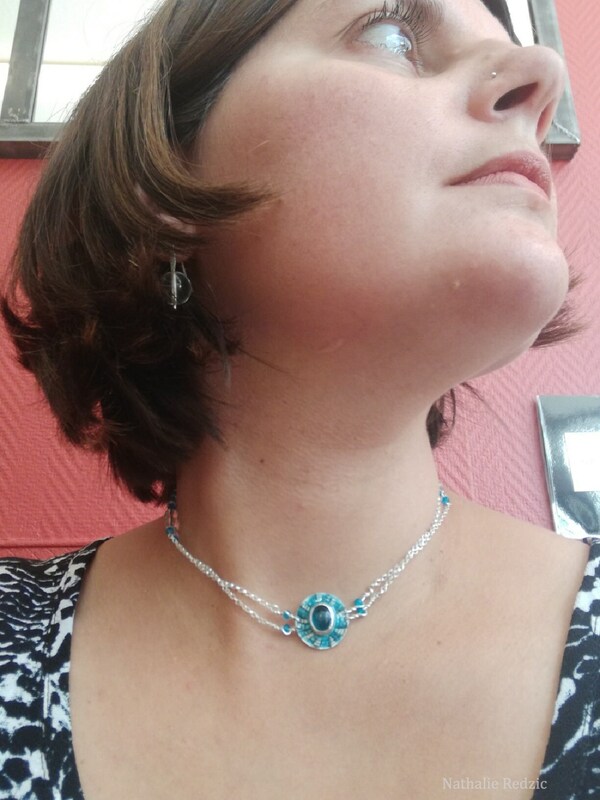 The Choker is also accompanied by gems beads in blue apatite and rock crystal. This piece is both very bright and colorful with natural materials. The clasp is clipped to the opening and closing of the jewelry. 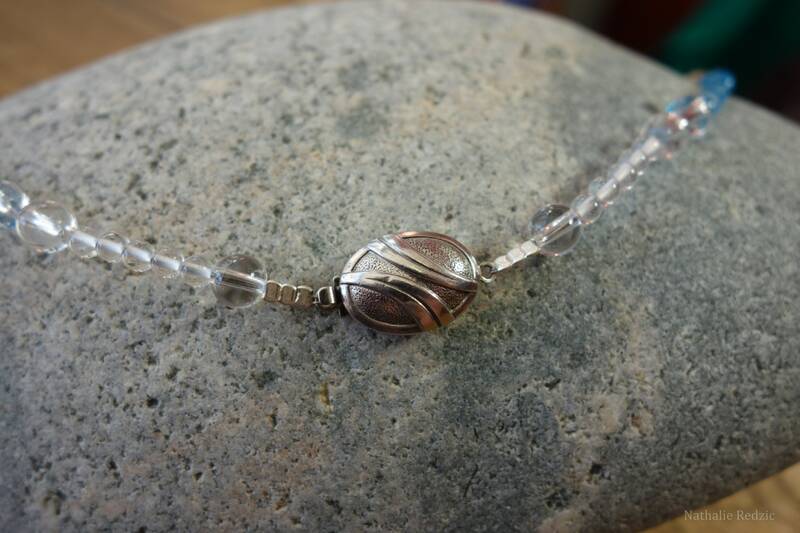 This necklace is a particularly elegant design, refined and original bringing femininity in sobriety. 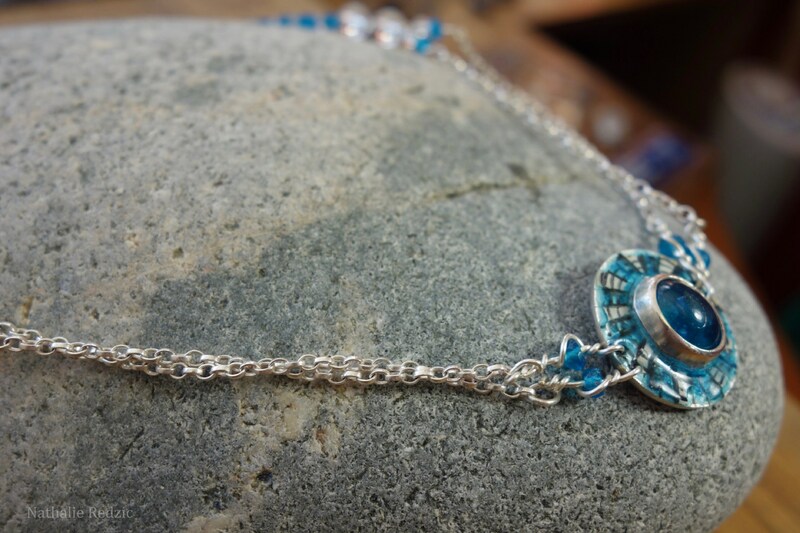 This necklace will be shipped in a beautiful box.